Siding & Windows Group is the leading Glenview IL siding contractor. We are proud of our exceptional reviews on Angie’s List, BBB, and GuildQuality, which speaks about our commitment to exceeding the expectations of our clients and providing quality workmanship. We offer only the highest quality siding materials with exceptional customer service and professional siding installation to Glenview homeowners. If you are looking for a proven siding contractor in Glenview, look no further than Siding and Windows Group. We are a Glenview siding contractor that believes in offering exceptional siding products together with expert, professional customer service! Siding & Windows Group is a proud supplier of James Hardie Siding in the Glenview area. 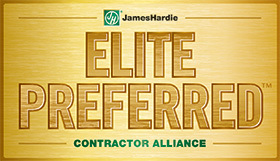 As an Elite Preferred Contractor for James Hardie, our siding is installed to last a lifetime. If you are looking for a siding that looks like wood but without the upkeep and expenses of wood, James Hardie is the siding for you. It has all of the attributes of a wood siding but is energy efficient and eco-friendly. James Hardie Siding is built to endure the elements, including wind, rain, snow, ice and sun, making it perfect for every home. Siding & Windows Group is the premier siding contractor for Glenview and we are known as a leader in the siding industry for originality, innovation, and architectural integrity for exterior design. Choosing a reliable siding contractor with experience and quality siding is hard to find, but don’t worry Siding & Windows Group is here with years in business to help you. Mastic: Since 1932, Mastic has provided innovative and quality building products to transform a house into a home. The picture above is of a completed home siding remodel in Glenview Illinois. Siding & Windows Group replaced and installed beautiful James Hardie panel and lap siding. View this and other siding projects here. Choose the best siding contractor in Glenview! Siding & Windows Group, is proud to offer superior siding products in the Glenview area, including James Hardie siding. 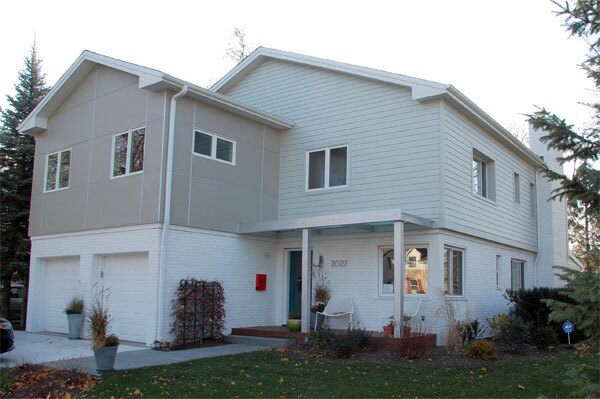 Click here to learn more about the benefits of this top-quality fiber cement siding product. Click here to receive a free estimate from Siding & Widows Group for your Glenview siding remodel! Siding & Windows Group is your Glenview siding contractor! Their genuine interest in my project, instead of just the hard sale, was greatly appreciated. Their desire to solve the problems I was having with my house and come up with the best possible solution within my budget was greatly appreciated as well.